to me makeup is art and to be an artist you need the right tools. each makeup brush serves a specific function so i put together this post to demystify the many brushes you may have seen/tried/wondered what the heck is that for?? MAC 224: a fluffy blending brush. the fluffier your brush, the better it is at diffusing color. this brush helps to blend your eyeshadow colors together and eliminate any harsh lines. the sparse bristles don't pick up much color, but work well to blend. MAC 227: a dense, short bristled, fluffy brush. this brush is great for a multitude of uses. it works well to apply a base coat of shadow to the entire eye. it is also a great brush for contouring the nose. the dense bristles pick up a large amount of product and the fluffiness of the brush helps apply the product without hard lines. MAC 219: this pencil brush has short, compact, firm bristles that pick up product and deposit color directly like a pencil would. because it is a brush, lines are not as firm as an actual pencil, making color look better blended. great for applying color directly to the crease as well as lining the eye or blending pencil liners. MAC 213: a soft fluffy eyeshadow brush. not too dense and not too sparse, picks up the perfect amount of eyeshadow color for application. best for applying all eyeshadow and works well to blend eyeshadow colors together. MAC 242: this synthetic fibered brush is perfect for applying any cream products such as concealer, cream eyeshadow even lipstick. i like how dense and firm the bristles are making product easy to place. 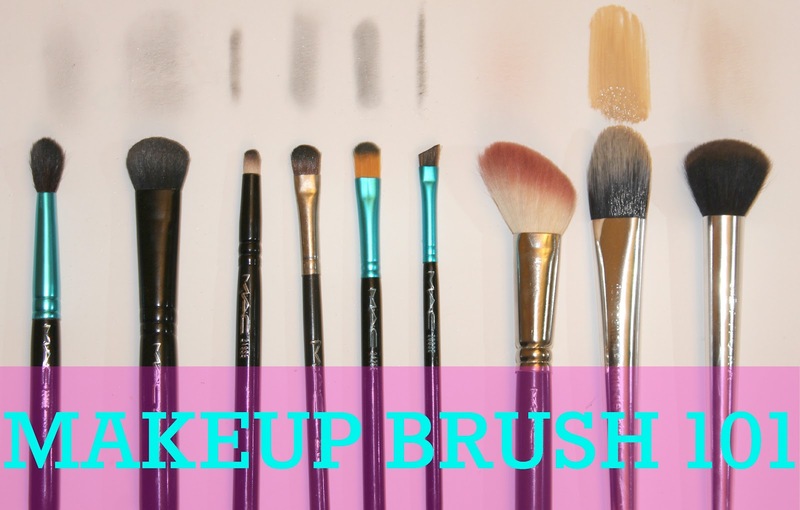 i find this brush works well for picking up powder eyeshadow and depositing color directly without diffusing, giving you the best color payoff. MAC 226: your angled brush is great for applying cream eyeliners, powder shadow liners or for filling in the eyebrows or lining the lips. the angle gives you precision and allows you to create sharp points and edges. the brush is stiff making it easier to get straight lines. i have at least 3-4 and use them daily. MAC 168: fluffy angled contour brush. great for blushes, bronzers or contouring the cheeks. (as you can see mine is typically my blush go-to) the fluff of the brush allows for a diffused application and the contoured angle gives you a bit more precision with your application. Sephora foundation: this brush has synthetic fibers making it the perfect choice for applying cream/liquid foundations. synthetic fibers make it easy to clean (which you should be doing often) and the large size makes it easy to distribute and blend product quickly and easily. applying liquid foundations with a brush gives a more flawless finish. Sephora contour: the short supple fibers of this brush help ensure sheer application with precise results. great for highlighting the cheek bones, brow bones and under eye, as well as to contour the hollows of your cheek, temples and nose. these are all my top used products and would be my recommendations for completing your makeup set beyond a fluffy brush and a sponge tipped applicator. i know most are MAC but they have great deals on brushes during the holidays and Nordstrom Anniversary Sale (which is quickly approaching). if there are any brushes i didn't cover or that you might have questions about, just let me know and i will happily answer.